The AWS Summit Atlanta is a free event designed to bring together the cloud computing community to connect, collaborate, and learn about AWS. 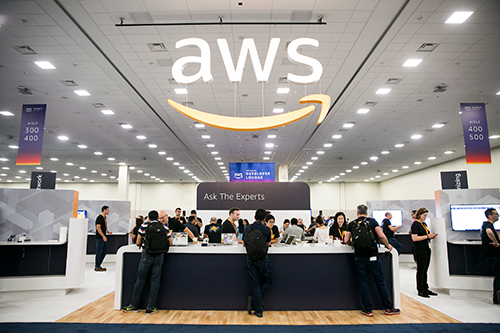 Summits are held in major cities around the world and attract technologists from multiple industries, segments, and learning levels who want to learn how AWS can help them innovate with speed and deliver services with scale, flexibility, and reliability. 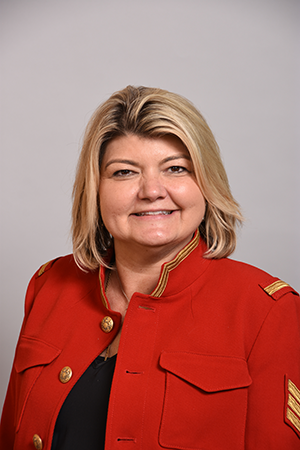 Sandy Carter is Vice President of Windows and Enterprise Workloads at Amazon Web Services (AWS) focused on helping companies to innovate using technology. Prior to joining AWS, Sandy spent a decade at IBM. She is the author of Extreme Innovation: Three Superpowers for Purpose and Profit, built on her research with Carnegie Mellon. Sandy was named Lifetime Achievement Winner, 'Excellence in Cloud Achievement' for 2019, Top 10 AI Influencers for 2019, Top 39 Engineers by Business Insider 2018, Top 50 AI influencer by Onalytica 2018, Top 10 Future of Work influencer in 2018, Most influential global marketing leader by World Marketing Congress 2018, Top 3 Innovation Influencer at SXSW in 2017, Top Digital Influencer in 2016 by Forbes, and Top 10 Women in Technology by CNN. Sandy is the Chairman of the Board of Girls in Tech, and an adjunct professor at Carnegie Mellon University Silicon Valley. She was honored twice with the AIT United Nations Member of the Year award for helping developing countries with technology. She is also an advisor to startups in AI, IoT, and AR/VR. Choose from 45+ technical learning opportunities ranging from introductions to deep dives and includes small group hands-on workshops, lecture-style sessions, and open mic whiteboarding chalk talks. Topics will cover but are not limited to Machine Learning, Artificial Intelligence, Serverless, Compute, Databases, Security & Compliance, and more. Experience a free day of learning and networking with AWS, our Partners, our Customers, and other attendees. Learn by attending technical sessions, workshops, and chalk talks. Visit the Expo to speak with our cloud technology providers and consultants who can help you get the most out of your AWS services. Stop by the AWS Booth to chat with AWS experts and get answers to your questions.